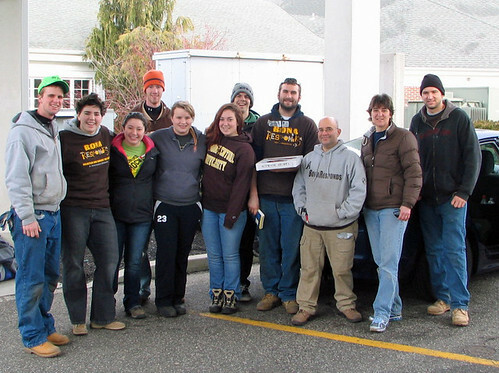 St. Bonaventure University has a wonderful service group called BonaResponds (http://bonaresponds.org/) that recently spent their spring break helping with Hurricane Sandy relief on Long Island and at the Jersey shore. The group is headed by a finance professor, was started shortly after Hurricane Katrina and has assisted at most national disasters since – as well as doing a lot of good work locally. I had the opportunity to join the group for the week. 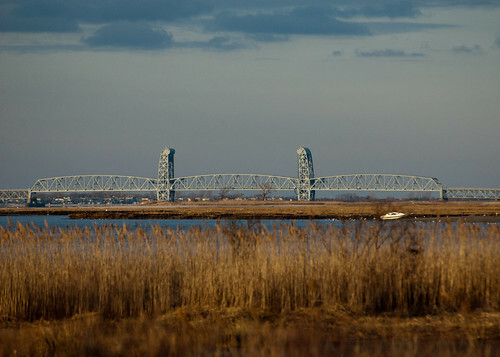 I had been to Long Island with the Red Cross back in December. Though progress has been made there is still a tremendously long way to go. I was especially surprised by the amount of work to be done along the Jersey shore. 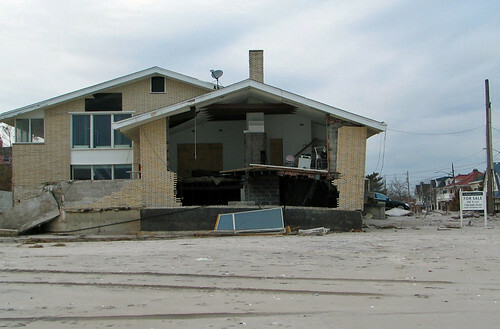 We were in the Manasquan-Ortley Beach area and a good portion of this area looked largely untouched. There was a significant police presence and some utilities were not yet fully restored. We also noted that there were lots of billboards for lawyers offering their services to challenge insurance claim denials. The students and alumni were an extremely hard working group. The jobs undertaken included some rebuilding (floor joists and new subflooring, drywall), shoveling foot-high sand washed onto sidewalks (you think snow is heavy), building wheelchair ramps, and cleaning out the yard and house of a hoarder – an educational experience you’d never get in a classroom! I was able to sneak in a little birding during the week. 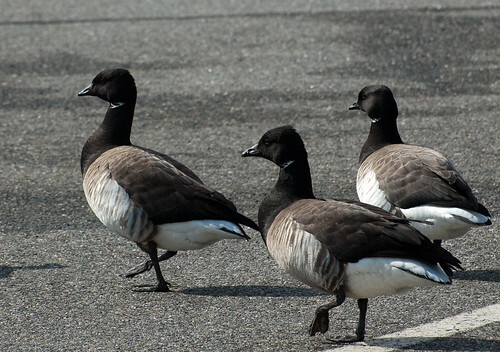 These brant were in a parking lot right across from one of our work sites. 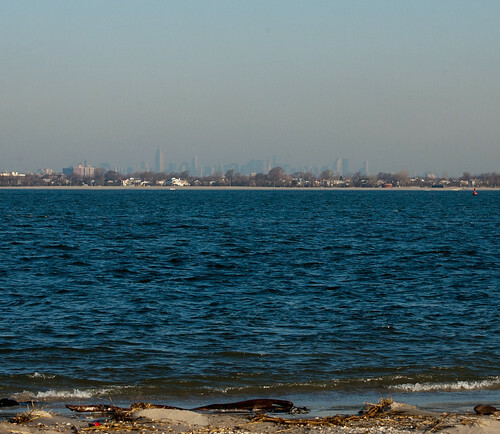 I also got in some early morning gull walks on the beach – we stayed in Breezy Point so we were only a few blocks from the ocean to the south and the bay to the north. 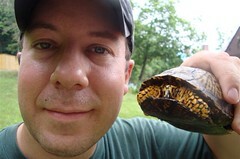 This entry was posted on 21 March 2013 by patacoate. 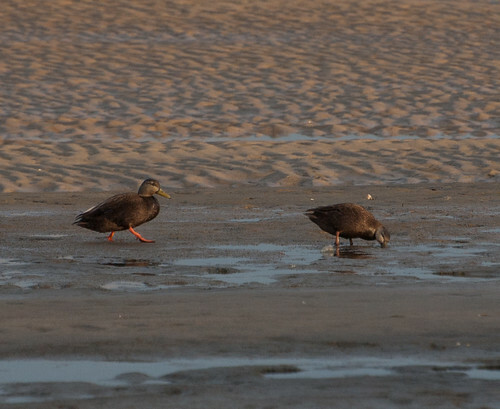 It was filed under iPhone and was tagged with American Black Duck, BonaResponds, Brant, Hurricane Sandy relief.